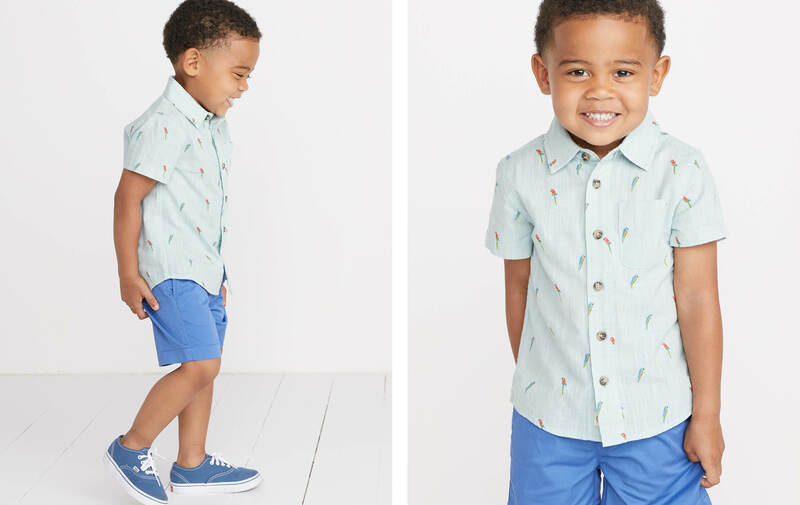 A mini version of our very chill button down featuring a mini parrot print. Polly wanna new shirt? 100% cotton plain weave with slub yarn in the weft for texture. Also, pre-washed for softness, featuring a custom parrot print.